Worried about being held responsible for the destruction of the planet? What if you learned that one small thing—eating more plants and plant-based foods, including chickpeas—could help you save the world? That the easiest strategy to combat climate change is simply eating more legumes? 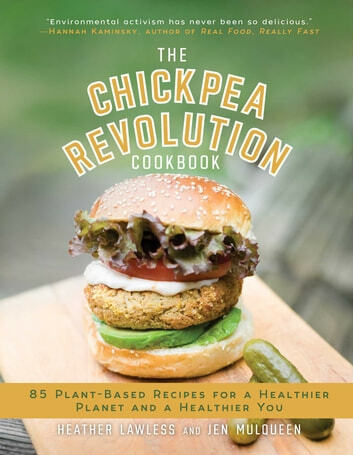 The Chickpea Revolution Cookbook can help ease that burdensome guilt by arming you with more than 80 recipes that incorporate more plant-based and sustainable foods into your diet, including chickpeas. Studies continue to demonstrate that animal agriculture contributes more to climate change than the emissions from all forms of transportation combined! Chickpeas are poised to become the bean of the future due to their resilience to changing climate conditions, nutritional value, and incredible versatility. This book will score you a high-five from Mother Nature, will have you eating hearty, and nutritious meals, and will have your friends scrambling for a dinner invite. With this book, you have the opportunity to feel great, save money, and address the most pressing challenge humanity has ever faced. So, let’s get cooking! 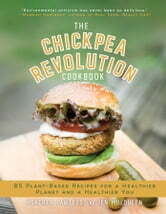 Recipes include socca bread, chickpea polenta bites, kung pao chickpea, chickpea sweet potato sliders, aquafaba lemon meringue pie, chocolate chickpea brownies, and more!